We have been educating our readers with online earning opportunities and tips to become an online entrepreneur. 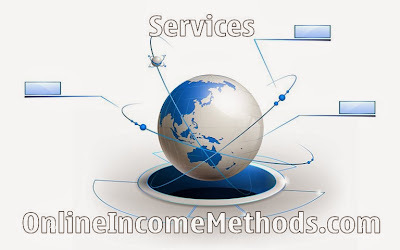 Today we are delighted to announce the services section at Online Income Methods, that will help our prestigious readers to obtain high quality PHP dynamic website development and WordPress related services. Our professional team members possess 3 years of diversified experience and are highly skilled to deliver you excellent services from the following basic & advanced categories at the most economical price. You can simply contact us, to discuss your requirements and we will reach you with our price and other details at our earliest, within 24 hours. We support PayPal, Payoneer & Payza as the primary payment methods. Domain Name Registration & Configuration / DNS Config for Blogger & WordPress. Free WordPress Blog Setup Service. Blogger to WordPress Migration / Transfer Service. Migrating WordPress self hosted Blog from one host to another. Optimizing and fine tuning WordPress Blogs for best performance in terms of speed. Implementation of additional WordPress security to avoid hacking issues. Integrating Social Media Plugins on blogs / websites to boost blog performance. Existing Google Adsense account integration & optimization into blog / website for generating more revenue. Google Analytics Integration for tracking Google Adwords campaign & visitor performance. Execution of pay per click (PPC) ads campaigns either they be Google Adwords or Facebook Ads to drive more traffic for your blog / website without having to spend too much on the budget side. Advanced Services offered by our team. Custom PHP Development Services – Responsive, Static or Dynamic PHP Websites. Deploying a local website to a live web host. Creating, editing or modifying templates for a content management systems like WordPress or web development framework. Conversion of HTML and CMS templates / themes into responsive templates. Integration of API’s of Social Media. Development of visually appealing web pages or web interface. PSD to HTML conversion – Turning it into a working website. Creation of Dynamic Web pages by using MYSQL Database Management System. Expertise in payment processing systems including PayPal, Worldpay, Authorise.net & Payza and their integration on websites. We are looking forward to have superior business relationship with our respected clients. You can simply contact us, to discuss your requirements and we will reach you with our price and other details at our earliest, within 24 hours. 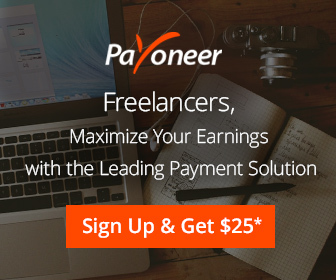 We support PayPal, Payoneer & Payza as the primary payment methods.